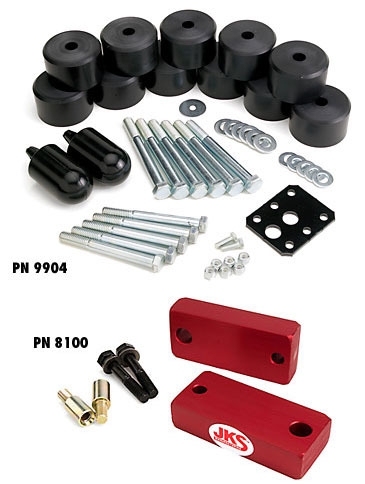 Excellent budget combo kit to gain tire clearance as well as ground clearance under your engine and transmission. Using both kits together keeps everything lined up under the hood so you don't have to relocate your fan shroud or anything else. This added extension really does make a difference! Each puck is made from 94 durameter solid Durathane with a contoured top edge and a recessed bottom to prevent slipping. These body lifts are designed to stack on top of the O.E.M. body mounts.